Desktop based School Management System is a complete solution for schools intending to improve productivity. The solution provides a comprehensive remedy for all management issues including students, attendance, staff, transport, exams, etc. 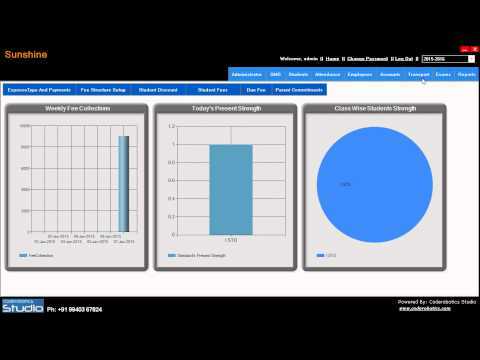 This user friendly software helps the school management to take in-time efficient decisions with data analysis facility provided with the integrated reports in the solution. Coderobotics is a professional software product development firm offering brand free ready made Asp.Net Apps, Desktop Apps and PHP scripts.